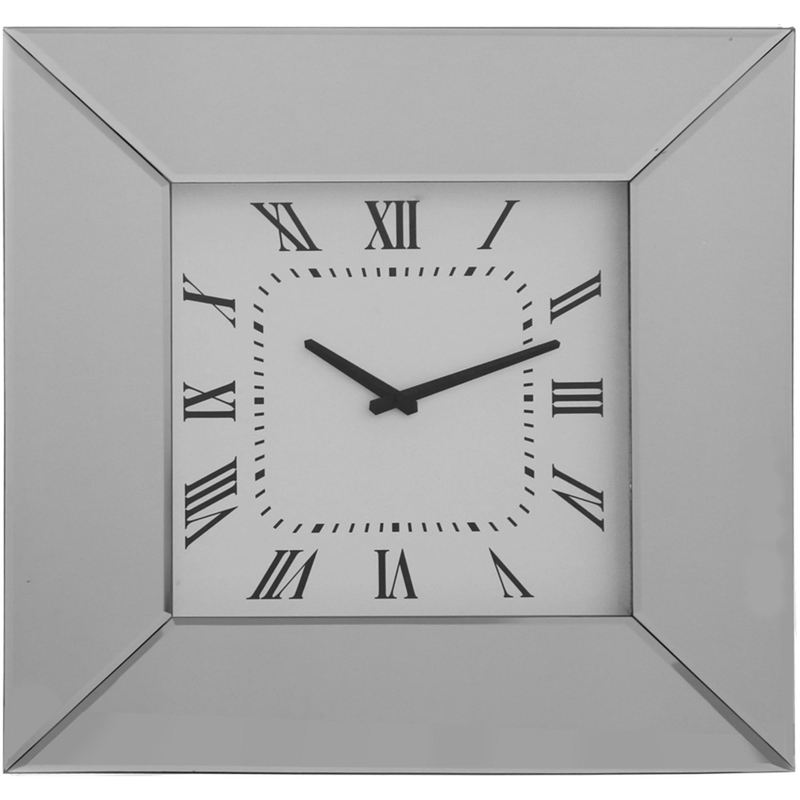 This simplistic grey wall clock would look stunning in any room. With is minimalist design and neutral toned colour, this is the perfect modern piece for your home. The clock reads in roman numerals, giving it style while not being over the top. This piece from mirrored glass and MDF which gives it a sleek look, this clock wont fail to impress.